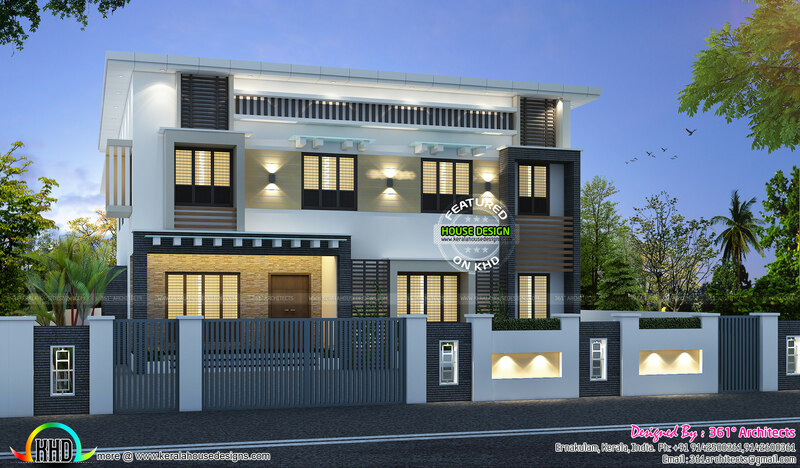 3311 square feet (308 Square Meter) (368 Square Yards) 4 bedroom contemporary style. Design provided by 361° Architects, from Ernakulam, Kerala. Ground floor : 1673 Sq.Ft. First floor : 1638 Sq.Ft. 0 comments on "Double storied apartment and Home"